Final Fantasy VI is one of the most brilliant games on the face of the Earth, and a lot of that has to do with how well Square was able to cram so much emotion into its tiny character sprites. Joy, anger, sadness, and confusion shining brilliantly through a mere 384 pixels (16 x 24). Final Fantasy protagonists nowadays can’t show such emotions, and they even have 1080p to help them! When the new mobile port was announced in Square Enix’s grand plan to reintroduce its classics to young gamers, we knew that those cherished graphics would take a hit like the other games in the series did. The day of reckoning is now at hand. 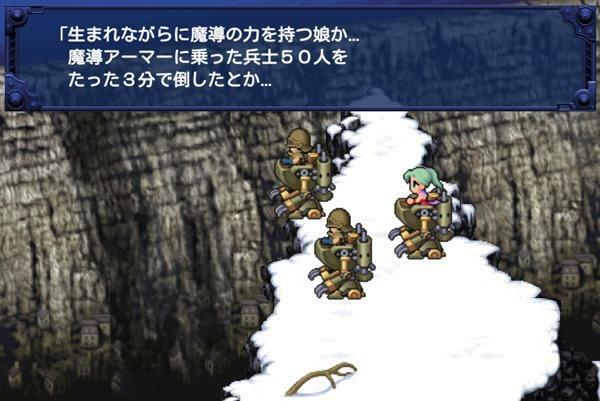 Square Enix has unveiled its new graphical style of Final Fantasy VI. Let’s look at the screenshots side by side and see how they mesh up. The first pair look promising. 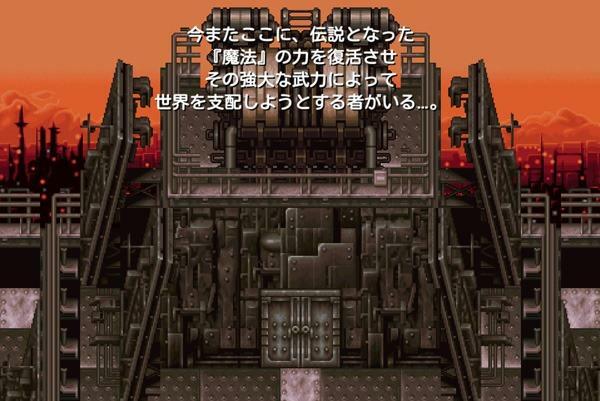 The shot just features a slightly more detailed view of the opening cinematic, and besides the obvious difference in quality of the image, the scenery doesn’t look that different. Ack! I had worried that Terra and her companions would end up looking like characters ripped straight from Zenonia, and it appears I wasn’t too far off. At least it looks like her. I could say a lot of bad things about the graphics, but I am biased and blinded for my love of the original game. Perhaps it isn’t as bad as it could have been, and I am just making mountains out of molehills. However, keep one thing in mind for the larger picture of this reinvention project. This is Square Enix’s contingency plan for keeping its legacy intact for future generations of gamers. Would the company rather have those not around during the SNES days witness the technique and craft put into one of the greatest games ever made, or do they want future gamers to confuse and mix that legacy with what comes out as a cheap looking copy. The original Final Fantasy VI was a masterpiece using every last ounce of resources the developers could take from the SNES cartridge. Balancing RPG mechanics, crafting a story through constrained visuals, and, most of all, creation through limitation from the true geniuses behind it. Remembering it as anything less or anything different is an insult to the 20 years it has stood as a pillar and model for millions of fans to look up to. 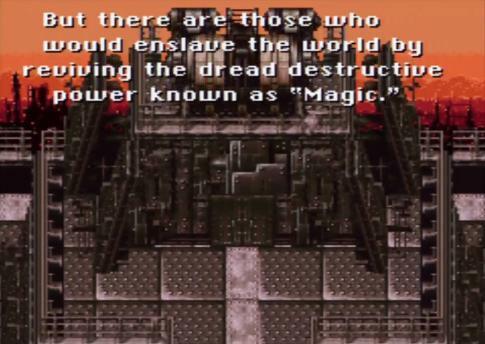 If you have not played Final Fantasy VI, consider this a quick page turn in its long history and go play the real thing. It’s universally considered a masterpiece for a reason.